Hermes is a name of vessel Nautitech 40 ,which has been produced in 2008. 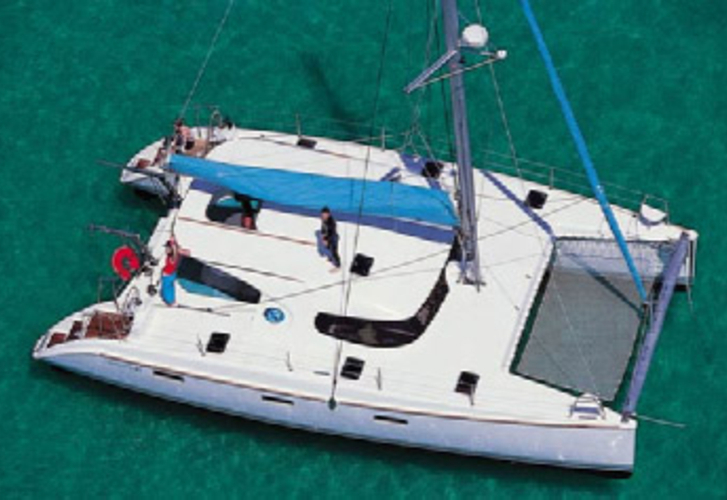 You can rent this sailboat from harbor Marmaris in the region: Marmaris. Hermes is furnished with 10 sleeping places. Berths on the yacht are arranged in 10 scheme. 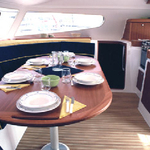 6 cabins are placed inside the sailboat Hermes. You can see different yachts by navigating to the section Catamarans Marmaris. Passengers can feel good on this yacht , because there are 2 WCs for their disposal. Hermes is powered by motor 29. Yacht's dimensions are: lenght - 11.98 meters , width - 6.50 m and 1.2 m of draft. On the vessel is placed following equipment: Gps plotter, Fishfinder, Karaoke system, Autopilot, Radar, Plotter gps in cockpit, refrigerator in cockpit, Anchor electric windlass, Outboard engine, Inverter 12v-220v, Dvd, Mainsail with lazy jack. . Security caution accounts for 2000.00 EUR. 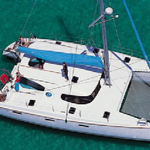 In our search machine you can easily check avalailability of boat Hermes from Marmaris by moving to this section: Catamarans Turkey.